Why FontCreator hardly used by professionals? Hi, I'm pretty new here and I have this question. I saw some of my friends use this FontCreator to creat their fonts for personal uses, learning purpose etc... But I don't know why this software hardly mentioned in this forum. Can you tell me why is that? I guess maybe it lacks some of the features right? Because someone who earn money selling fonts can afford much better software. Just kidding. Mostly. Ha-ha only serious. Better answer: basically, it's about the types of curves you can create and how easy they are to work with. I'll try to explain, but it's a complex subject. FontCreator only creates TrueType fonts, which only use quadratic Béziers. Such curves are described by three points: two endpoints on the curve and a single control point off the curve. Remember conic sections from high school? That's the sort of things you can create with these. Kinda limiting. In practice, you have to have a lot of segments and control points, and it's really easy to get a curve kinked up and spend hours trying to get a smooth curve. Cubic Béziers (used in PostScript), however, are a very different thing. You have two off-curve control points to work with, allowing for much more complex shapes. These curves are supple, smooth. One of the best features is that it's trivial to set up a curve pivot (my term; I don't know the proper one, but mine is groovy) -- move a point on one side, and a paired point moves the opposite way, giving symmetry and smoothness. Literal counterpoint, for the musically-inclined. Adobe Illustrator, InkScape and a lot of other vector drawing apps use these curves. In short, quadratic Béziers are much harder to work with. If you change a curve on, say, the rightmost point of /p, you have to move a lot of points to get the resulting curve to smoothly integrate. It's much, much easier with cubic Béziers. Still, TrueType has some very real advantages. First, it's usable in pretty much every game and graphics engine, so it's nigh universal. Second, it has the possibility of superb screen appearance, because its hinting engine (basically, instructions on how to warp things so they look better) is ridiculously powerful (but equally ridiculously hard to use). System fonts in Windows and Android are TrueType, and they look great. TrueType is perfectly valid, and its disadvantages really aren't that bad. Don't let anybody mock you for liking FontCreator -- it's a great editor. Or it could just be that they teach Illustrator in design school. In addition to Font Creator's inexplicable reliance on TrueType, it's Windows only, and most type designers are Mac users. I can only speak for myself. I’ve never heard of this application! I stick with FontLab, which I’ve been using for ten years. I dislike changing software and having to learn new stuff when the old is familiar and perfectly adequate; however, I have been hearing good things about Glyphs recently, and will give that a try soon. As a type designer, I hate seeing Verdana used on that website. Jokes aside, Mac is more expensive (esp. with Glyphs) but I believe it's worth it. As at least 40-50% type designers have Apple as their go-to device, they don't want to go through the extra money and tedious work to get Windows on their mac. In addition to Glyphs' inexplicable reliance on Mac, it's Mac only... no, wait, even I can't make this funny. Slight case of Mac envy here, though. I've been saving my pennies... at this rate, it should only take ten years. Barring price increases, mind you. As Ramiro says, if you earn money from drawing type, you'll likely afford a mac and mac-only drawing software; Nguyen Mai An's friends are drawing type for personal use and learning. If those friends expect to earn money from drawing type in future, they would likely invest in a mac and mac-only drawing software (perhaps even taking a loan) taking a risk that they would repay their investment later. @Dave: Indeed, although one could argue that such hegemony should be challenged. I know several Arabic type designers who use FontCreator (old versions of it, and refuse to use the recent ones or some reason) with VOLT, but they do not have formal type design training and work on Windows only, not the kind of people you usually see in the usual type design circles. All of FontLab’s products are both Mac and Win. While FontLab VI is being developed on Mac first, it is on an inherently cross-platform base (qt). Still, too much of the really cool software seems to be Mac-only, however. Ramiro and Dave do indeed have a point. I've recommended it Fontcreator to clients who need to make some small changes to a font. I think, of all the low-cost Windows font tools, it has the quickest learning curve. Typetool is around the same price but is almost as unapproachable as FontLab so why bother? 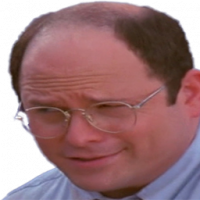 As for me I only use Windows tools because I can't work on an Apple computer. Every ten years or so, I buy an Apple computer. I try to use it for a month and I just go completely out of my mind with frustration and go back to Windows. It's not for everyone. Said computer gathers dust for a decade when I sell it for $50. It's a pattern and I'm due for a new one in 2018. Yeah, I'm missing out of some wonderful font tools but I just can't deal with that file system. It's like Passage to India; not everyone can make the transition. Only one who isn’t aware of the differences in the cost of developing for different platforms. Building Mac apps is cheap. And it's free on Windows, Linux, Android, OS/2 (yes, it still exists)... Mac, too, if you want to use gcc, java, mono... your point? Oh, and have they stopped charging licensing fees and such to publish an app? And let's not forget that Mac APIs are very much out of the mainstream -- you might as well be coding SmallTalk, ffs -- and that training is expensive. Nothing about Macs is cheap. The cost of Mac development is a joke on most VST and game dev fora. But the real point is that freedom and choices are good. Yeah, I'm missing out of some wonderful font tools but I just can't deal with that file system. Friggin' .DS_STORE entries all over... you can always tell when a compressed archive came from a Mac. Oh, and typographic quotes in the wrong indices so they display as bloody question marks... I still see such web pages occasionally. Choice is indeed good, but that's just obnoxious. I don't think there's anything inherently bad about either platform; it's just not for everyone. I remember in 1985 when I tried a Mac...I just didn't connect with it and took the Amiga path to Windows. I don't want to derail this thread with a Mac/PC fight but it's frustrating to see all the good font tools coming out on the Mac while I'm struggling with Fontlab in Windows. Robofont and Glyphs were each developed by individual type designers who worked on MacOS and weren’t satisfied with the tools that were available at to them at that time (probably on any platform). So it isn’t much of a surprise to me that their products are Mac-only. It isn’t as if the “type industry” decided to commission new software, surveyed the landscape and, ordered this new software to be Mac-only, in order to limit non-Mac-users’s options. Certainly, different developers could code new apps for other operating systems, and indeed it seems that several web-based font editors are in some kind of development stage. FontLab used to be developed for Windows first, and DTL seems to be a Windows-first business. If FontCreator added PS outline-drawing and/or other features, would more Windows-based designers use it? […] DTL seems to be a Windows-first business. DTL FontMaster (FM) was released for Mac OS 9 and Windows at the ATypI Conference in Copenhagen September 2001. We were in the unlucky situation that Microsoft did not update the MFC-compiler for Mac OS X, which was released a year later. At that time it didn’t make sense to start programming from scratch again. Later tools like OTM, CompareMaster, and LeMo have been developed with Qt and are available for Mac OS X, Windows, and Linux. At URW++ over the past years a powerful successor for FM, named GlyphMaster, has been developed. It is in use in Hamburg and at DTL for the internal production. Whether it will be made available for the enduser market eventually has not been decided yet. Windows isn't the only game in town, either. I'm just saying that choices are good. Anyway, sorry to anybody I've offended or annoyed; I'm not very good at dealing with others' intolerance and bigotry, and I tend to attack back. It's something I'm working on. I'm the lead developer of FontCreator, and find it interesting to hear what people like and dislike about FontCreator. Feedback from our customers, but also from people who decide not to use our software is very important for us to continue to improve our software. Even though High-Logic has provided quality font editing software for over 18 years, it appears not all of you know about FontCreator. So allow me to say a few words about it. Just like any font editor, you can open a font, or create a font from scratch; import vector based images (e.g. from AI), import raster based images which are converted to outlines, generate over two thousand composite glyphs, adjust metrics, add custom naming fields, add kerning, perform transform glyph outline transformations etc. But what makes FontCreator unique is the fact it allows you to open existing fonts, and edit the OpenType layout features without the need to know how to code. And a code editor is available for those who prefer it. You can easily import your VOLT project, provide optical size information and add (localized) descriptive names for your stylists sets. People who generate fonts are most likely unaware of the fact most professional fonts contain inaccessible glyphs, which just increase the font file size. With FontCreator you can fix this in a split second. Also other issues like duplicate glyphs inside a kerning class (as with a font in the top 3 of best sellers at myfonts!) can be easily detected and solved. Several customers told us that even just providing insight in these issues was worth the money. Apart from tttfautohint, FontCreator is a true native font editor, so no need to buy or install third-party tools or extensions. If FontCreator added PS outline-drawing and/or other features, would more Windows-based designers use it? Interesting question! I hope some people can comment on this. A lot of professional type designers use more than one tool to make their fonts, and fortunately not all of them limit their toolkit to Mac software. I'm not saying FontCreator is the perfect tool for everyone, but I know people have been able to make a living out of selling fonts which they made with FontCreator. Several customers who are Mac users do complain about the fact our font editor is Windows only, but they run FontCreator inside a virtual machine (or use Wine or Boot Camp) to create, edit, and validate their fonts. If you haven't tried our font editor yet; do download FontCreator and give it a try (the full installation file is only 12 MB to download) and let us know your results! I’m pretty good in advertising my own stuff, but I must honestly admit that you are even better! Because I like to see free and open competition continue, I wish that all tools were cross platform and transferable among eachother. Rather than having to convince a developer to make their tools my way, I prefer to mix and match to get what I like from each. Inter-operable formats have greatly helped but there is still some loss. I don't want to see it happen when one developer is so dominant that they can get lazy and ignore bugs and client wishes. Can you elaborate on that? I don't see what makes it cheaper in general compared to other platforms. When I’ve asked Mac-only design software devs why they only develop for Mac the answer is always the same. Building native Mac software is easy enough that they can do it themselves. But building native Windows software is hard enough that they’d have to hire someone. And paying an experienced Windows developer can triple development costs, at which point most design software won’t sell enough licenses to turn a profit. Cubic Béziers (used in PostScript), however, are a very different thing. 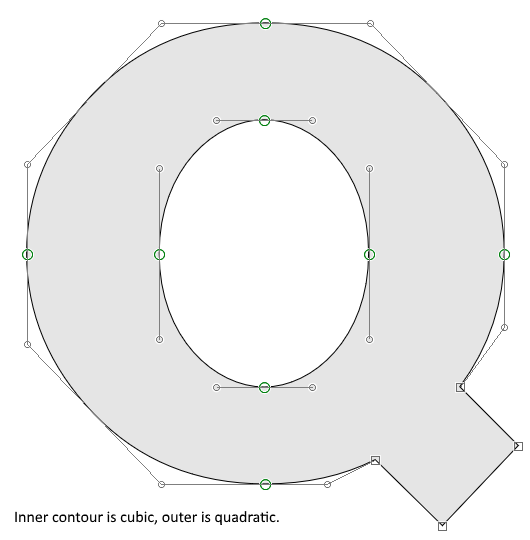 We've just released FontCreator 11, supporting both quadratic- and cubic-based contours. So you can now decide which outline format you wish to use while designing your fonts. FontCreator runs on Windows, but you should also be able to run it on a Mac with Wine or CrossOver. If you haven't tried our font editor yet; do download FontCreator and give it a try. Does Font Creator support .ufo or .glyphs files? No. I think there are other things that FontCreator needs before that. Are there any significant reasons why you would import a UFO file rather than a TTF?